Imposingly massive and well-defined: This is true not only for his upper arms but for all his muscle groups. Nick Cooper's physique proves that the popular fitness model is an expert on body sculpting. In a big number of new outstanding videos on AllAmericanGuys he demonstrates and explains his complete workout and most efficient exercises in detail. You find these videos and numerous high quality photos of Nick here on AllAmericanGuys. His workout is at least as impressive as his sculpted physique. Pavel Samek, Czech Bodybuilding Champion 2012 and fitness model on CzechYoungMuscle demonstrates in this compilation video his big variety of exercises which he performs with much power, precision, and dedication to shape his body as effectively as posssible for the contest stage. You find numerous high quality galleries and videos of Pavel Samek here on CzechYoungMuscle. When he is lifting weights, each repetition seems to induce more muscle mass and more definition. Jan Hutka, the young natural bodybuilder and successful competitor, demonstrates his intense workout and flaunts his sculpted physique in numerous high quality videos and galleries here on CzechYoungMuscle. How to build admirably massive and well-defined arms: London-based personal trainer and bodybuilder Michal Kowalski demonstrates Giant Sets for working biceps and triceps. The technique involves lining up four or five exercises one after the other, with short rest periods. Along the way, Michal also offers some tips which can be used in general training as well. His imposing muscle mass and definition are even more striking than his tattoos. Derron McLaury comes to AllAmericanGuys from the state of Michigan. He's a former U.S Army guy and currently part time model and personal trainer. You find many more high quality photos and videos of Derron McLaury here on AllAmericanGuys. When Doug Keene is lifting weights, he seems to be stronger than the iron. 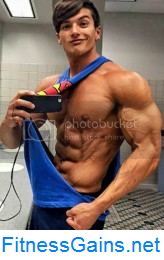 The 6'1 blonde, competitive bodybuilder works out in the gym using the last of his strength for maximal muscle growth. Additionally his training and nutrition lead to striking definition and a winning shape for the contest stage. Doug's workout is shown in a series of outstanding high quality photos here on AllAmericanGuys. You find many more high quality photos and videos of Doug Keene here on AllAmericanGuys. "The more pain you endure today equates to more peace you'll have tomorrow." 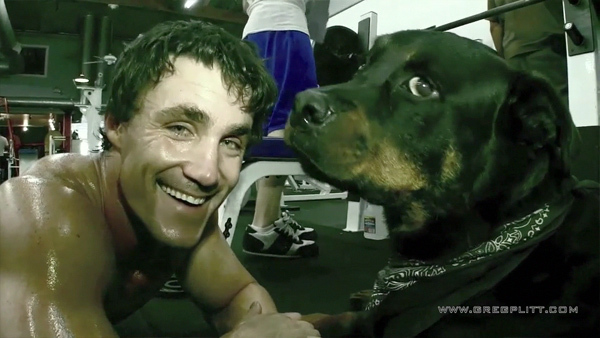 Greg Plitt's approach to fitness is not for sniveling guys, but all the more effective. The star bodybuilder and top cover model invites: "Prepare your biceps to be tested as they have not been tested before." Greg unleashes his Curl Superiority Workout showing you exercises you've never seen or done before. He explains: "This five round tri-set workout will attack both heads of the biceps from every angle, guaranteeing to ignite an intense burn that unlocks the growth in your potential. Your reward for making it through this punishing workout, head-turning biceps and the inner peace that comes with knowing that you met this challenge, built your confidence, and you're ready for the next obstacle life puts in your way." This thrilling preview video begins with a true highlight: Greg's breathtaking, almost exploding biceps. The full Curl Superiority Workout is available at www.GregPlitt.com. The GregPlitt.com Members Section contains over 200 hours of video, including 58 instructional workout videos, $9.95 a month for full access. Huge arms, a double biceps pose, and a winning smile: Bodybuilder and men's physique competitor John Dougherty beams with joy when checking the effect of his intense arm training. His arms are massive, well-defined, and perfectly sculpted for the contest stage. In the first video John flexes his biceps a few days before he competed in the 2012 NPC Team Universe. In the second and in the third video he demonstrates how he works his arms performing a big variety of exercises. Enthusiasm, dedication, and sporting disposition: It's obviously the special mixture of Tomas Duran's qualities which enables him to build the sculpted physique he needs for the contest stage. 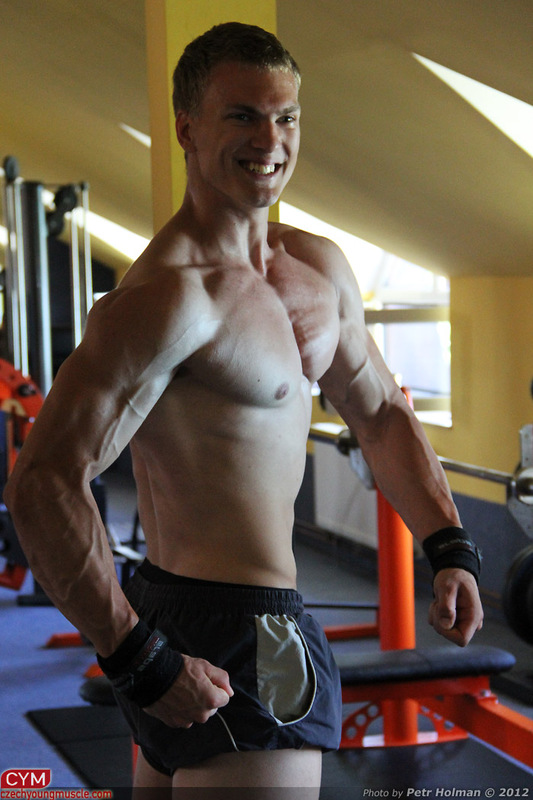 The successful natural bodybuilder's intense training and posing is recorded for numerous high quality galleries and videos here on CzechYoungMuscle.